The University of Stuttgart (German Universität Stuttgart) is a university located in Stuttgart, Germany. It was founded in 1829 and is organized in 10 faculties. The Universität Stuttgart is situated in the middle of a highly dynamic economic region with a worldwide reputation for excellency in the fields of mobile and information technology, production, process engineering as well as in life sciences. The Universität Stuttgart was founded in 1829, at the beginning of the industrial age in Europe, and will celebrated its 175 th anniversary in 2004. The cooperation between technical, physical and human sciences has always been an advantage of the Universität Stuttgart. Today the university is a modern, achievement-orientated institution with a comprehensive range of subjects and a focus on technical and physical disciplines. The maxim is not only „job-qualification“, but "technology, knowledge and education for mankind“, as the motto of the Universität Stuttgart says. It is one of the leading technical universities in Germany with highly ranked programs in civil, mechanical, and electrical engineering. From 1770 to 1794, the Karlsschule had been the first university in Stuttgart. Since 1818, Stuttgart oldest university, located in Stuttgart-Hohenheim, is the University of Hohenheim, it is not related to the University of Stuttgart, apart from some cooperations. What is now Universität Stuttgart was founded in 1829, and celebrated its 175th anniversary in 2004. Because of the increasing importance of the technical sciences and the associated studies of the students, from 1876 the university was known as the Technical College. This was awarded the promotional rights for the technical disciplines in 1900. 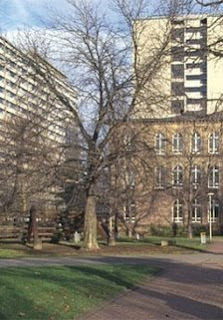 The development of the courses of study at the Technical College of Stuttgart led to its renaming in 1967 as the present-day "Universität Stuttgart". 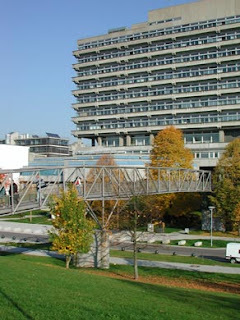 Since the end of the 1950's, a part of the university has been located in the suburb of Stuttgart-Vaihingen. Most technical subjects (computer science, engineering, etc.) are located in Vaihingen, while social sciences, architecture, and similar topics are still located in the city center campus. can any one say my chances of admission at sttutgart for Msc. in COMMAS.how the admission process goes? ?